Often the latest jazz news is an obituary notice. It’s not surprising given the age of some of my friends and heroes, but I don’t always linger on such news: if I immersed myself in it, I might become too sad to continue stating confidently that JAZZ LIVES. But I will make an exception for William B. Dunham — known to me as Bill, known earlier in his life as Hoagy. For more than half a century he was the regular pianist with the Grove Street Stompers, who play on Monday nights at Arthur’s Tavern in Greenwich Village, New York. Bill died on January 11: details here. P.O. Box 183, Cooper Station P.O. Hey Michael……………….Thanks for asking. For a couple of doddering old geriatrics we are doing OK – not quite at the strained food stage. 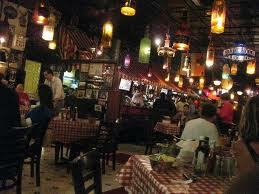 I have had a little problem which has kept me out of Arthur’s. Getting better. Blog recommendation. Every Sunday from 12:30 – 2:30 a great trio at Cafe Loup on 13th Street. Piano, bass and guitar. Not to be missed! Could you video there? Our cat population has dwindled by 50%. We had to download Manning because he tended to bite. Love bites mind you. I used to enjoy the occasional love bite – but not by a cat! That was the Bill Dunham I will always remember: the enthusiastic jazz-lover who turned up at gigs, always beautifully dressed, the man who marveled at the music and the musicians, who would email me to share his delight in a video I’d just posted. He and his wife Sonya were a reliable couple at New York City jazz gigs, cheerful and ardent. Others in that band are Peter Ballance, trombone (seen here in front of the narrow bandstand, keeping track of the songs played that night); Joe Licari, clarinet; Giampaolo Biagi, drums; Skip Muller, string bass. As a pianist, Bill was an ensemble player who offered the plain harmonies as the music moved along. He knew this, and did not seek to inflate his talents: when I saw him at a gig where Rossano Sportiello or Mark Shane was at the keyboard, he spoke of them and their playing as versions of the unreachable ideal. He was proud of the Grove Street Stompers as a durable organism upholding the collective love of jazz, but modest about himself. A digression. Bill became one of my most enthusiastic blog-followers but he often found technology baffling, which is the right of people who came to computers late in life. WordPress would inexplicably unsubscribe him from JAZZ LIVES, and I would get a plaintive telephone call and then attempt — becoming Customer Service — to walk him through the steps that would re-establish a connection. Once the complication was beyond my powers to fix on the telephone, and since I knew I was coming in to Manhattan, I offered to come to his apartment and fix things there, which he happily accepted. There I found out about the four cats — I don’t remember their names, and since I was a stranger, they went into hiding (perhaps they didn’t like something I’d posted on the blog?) and I never saw them. Once I fixed the connection, because it was noon, Bill offered me a glass of iced gin, which I declined, and spoke of his other jazz obsession — Wild Bill Davison. Wild Bill, when he was in New York City in between gigs, would come down to Arthur’s and play, and Bill (Dunham) spoke happily of those encounters: he’d also become a WBD collector, but not in the usual way: Bill’s goal was to acquire a copy of every recording WBD had ever made, perhaps on every label and every speed. I was awe-struck, but perhaps tactlessly asked if this was like collecting stamps, because WBD’s solos had become more worked-out than not. To his credit, Bill agreed. Before I’d ever met Bill, though, I knew of him as a youthful eminence in ways more important to me. He had graduated from Harvard in 1952. To my mind, this made him a truly sentient being — even if gentlemen at Harvard those days aimed no higher than a C, I believe those C grades meant something. He was seriously involved with jazz before I was able to crawl. 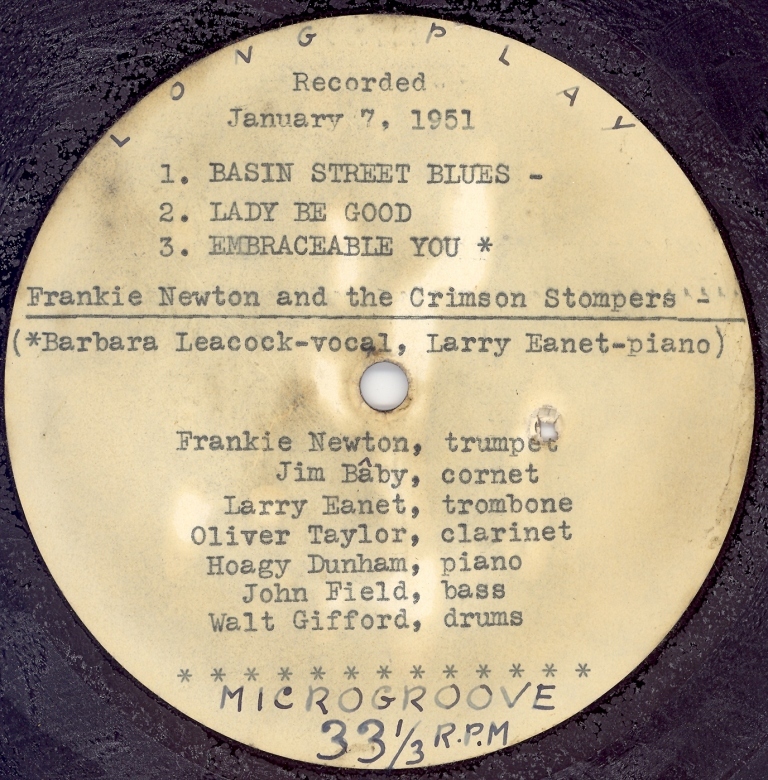 Thanks to my dear friend John L. Fell, I heard a tape of Bill in 1951 as part of the Harvard jazz band, the Crimson Stompers — including drummer Walt Gifford — on a session where clarinetist Frank Chace, visiting Boston, had been the star. In Manfred Selchow’s book on Edmond Hall, I learned that Hall had been recorded at an informal session in 1948, and “Hoagy Dunham” had played piano on ROYAL GARDEN BLUES. I had a cassette copy of what remained of those sessions. At some point I copied these tapes onto another cassette and sent them to Bill, who was ecstatic. Through Jeanie Wilson, Barbara Lea’s dearest friend, I learned that Bill — for a very short time — had dated Barbara, and I got Bill to write his memories when Barbara died, which you can read here. 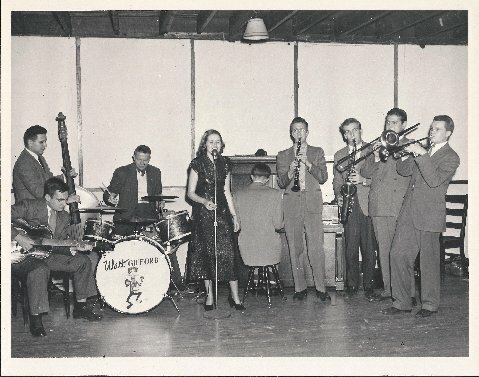 Here is a post in which Bill figures — both in a black-and-white photograph of himself, Barbara, and the Stompers, and a Harvard news story where he is “Hoagie” Dunham. And here is Bill, as a JAZZ LIVES stringer or jazz town crier, with some New York news (hilariously). How might people count their lives well-lived? To me (and the person who has made the transition can only know this in some spiritual way) if you’ve lived your life properly, people miss you when you are no longer there. I know I will from now on think, “I wonder if Bill will show up tonight?” when I am seated at a particular gig — and then have to remind myself that he won’t. I send my condolences to Sonya, and Bill’s daughter Amy. My jazz universe and my personal universe are smaller and less vibrant because of Bill’s death. Thanks so much to Alison Birch for her generous help in this blogpost. 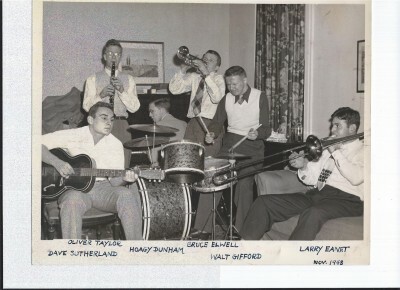 Back in the days when the Crimson Stompers were getting organized, they held their practice jam sessions down on Coolidge Hill Road behind Stillman Infirmary at the home of Charles H. Taylor, professor of History. And they had a cornetist sitting in with the band whose playing Walter H. Gifford, Jr. ’52, drummer and manager of the group, describes as a “mean cornet a la Max Kaminsky.” The horn-player’s name was Sargent Kennedy ’28, Registrar of Harvard College. During the summer of 1948, Gifford went to a musicians’ hangout in his home town of Washington, D. C., and met a heavy dark-haired young trombonist-pianist named Laurence J. Eanet ’52. It didn’t take long for them to discover two important facts about each other–that they were both starting at Harvard as freshmen that fall, and that they both loved Dixieland jazz. It was quite natural that, when they came up to Cambridge in September, the two started shopping around for enough men to fill out a little “amusement only” jazz ensemble. Friends told them about a fine guitar player who was a junior at the time–David Sutherland ’50, who is now at the Law School. And then there were three. “Through the College grapevine” they heard about a fine young clarinetist, Oliver S. Taylor ’53, Professor Taylor’s son, who was then attending the Belmont Hill School. They found that Taylor was not only enthusiastic about joining their group, but that he could also recommend a good trumpeter, a Milton Academy boy named Bruce Elwell. (Elwell, relatively young and inexperienced compared to the others, has since moved on to Rollins College in Florida). The unit was rounded out by the addition of two classmates, bassist Herbert Levin ’52 and pianist Hoagie Dunham ’52. They used to go down to Taylor’s home evenings and shake the house with their practice sessions. “The Taylors’ was a proving ground for our band,” Gifford explains. “We really started to play well in ensemble there.” During this period Kennedy enjoyed going to the house at night to sit with the boys. They started to make trips to the Savoy on Massachusetts Avenue to listen to trumpeter “Red” Allen and the Searsdale (New York) High School sensation, clarinetist Bob Wilber. After a time, when they became known at the Savoy, they would climb up on the stand and take over the nightclub. One night Dunham showed up with a girl who could sing. He had met Barbara Leacock, Wellesley ’51, on a blind date. 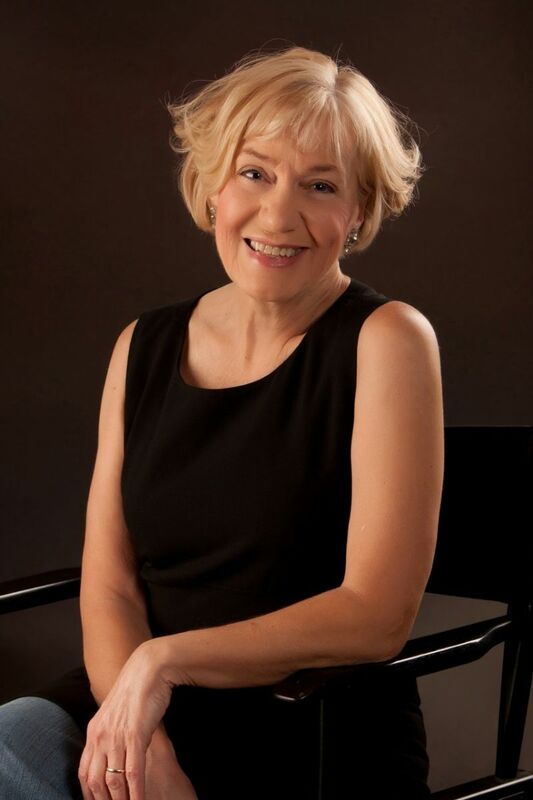 The good-looking brunette had a voice that pleased Dunham’s fellow musicians and she became a featured vocalist on the band’s College engagements during the following year. They put on two concerts in the Lowell House Junior Common Room and broadcast Monday nights. The day before they played at the Freshman Smoker, the entire group trooped down to join the musicians’ union, because New Orleans clarinetist Edmond Hall was coming out from the Savoy to play with them “and the union was watching us like a hawk.” Shortly afterwards they played for the Radcliffe freshmen at Agassiz Hall, where they were paid off in rye smuggled in by an admiring Cliffe girl. Last year the band started off at the Savoy with the trumpet played by 20-year-old. 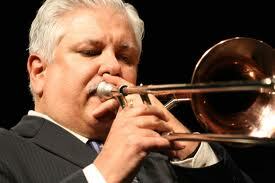 Tufts graduate Paul Gibson, whom Gifford calls “the best jazz trumpeter this side of New York.” Then they branched out. They went twice to Smith College (Gifford is carried away by the memory where 200 girls in sweat shirts and dungarees sat in a semicircle and shrieked for the real oldtimers like “Coal Cart Blues” (an Armstrong standby). And they found another faculty supporter in Roy Lamson, Jr. ’29 clarinet-playing professor of Sociology at Williams. They played the college circuit from a house party at Dartmouth to a performance in a baseball cage at a Spring Country Fair at Wesleyan in Middletown, Connecticut. Sandwiched in between were a number of Monday night sessions at the Savoy with bands led by Hall, trombonist Vic Dickenson, and pianist Joe Sullivan. I was too young to be in that group, but I have heard the Stompers (Frank Chace played with them, and there is a riotous long ROYAL GARDEN BLUES from the session with Ed Hall — alas, neither of these delicious combinations are available on CD for the masses thirsting for the Real Hot Stuff) and wish that such impudent explosions of joy, collective and singular, were happening on college campuses all over the world. When I go back to teaching, I would give extra credit to any group of students who could play COAL CART BLUES. That’s a promise. And Bill Dunham, happily, is still with us, beating it out on Monday nights with the Grove Street Stompers at Arthur’s Tavern on Grove Street off Seventh Avenue in lower Manhattan. Stop by and tell him you saw his back on JAZZ LIVES. Everyone in the know was excited that Rebecca Kilgore, our Becky, Miz Roo, was coming to New York and New Jersey for a short stop at the end of April 2013. Before heading off to the UK for the Norwich Jazz Party, she and Dan Barrett had one gig at Smalls, one glorious evening with Rossano Sportiello and friends at Carnegie Hall (! ), and another intimate evening at Shanghai Jazz. The Beloved and I attended the first two . . . and I brought my camera to Smalls (183 West Tenth Street, Greenwich Village, New York). I’ve adjusted the videos so that Becky, pianist Ehud Asherie, and trombonist Dan appear to be performing in a light-hearted version of film noir . . . but the music shines brightly in a rainbow of colors! Here, incidentally, is what I wrote in anticipation of Miss Becky’s visit. And here are five glorious performances from that Smalls triumph in swing . . . with a few more to come! Our Becky swings sweetly, offers nuances and shadings that surprise, move, and enlighten. She makes us smile — under a baking spotlight, in the middle of two great jazz extroverts, in front of a portrait of Louis, smiling for good reason. The Beloved and I weren’t the only ones paying close delighted attention: the room was full of singers: Marianne Solivan, Hilary Gardner, Molly Ryan, Yaala Ballin, Petra van Nuis — as well as friends of the Jazz Bears: Justin, Danny, and Kristin; Jeanie Wilson beamed at us; Bill and Sonya Dunham made sure everyone behaved well; Stompy Jones and Maxine were there in spirit, too. Dan Barrett thinks ahead . . . and he is coming to New York City for an all-too-brief sojourn, with stops at The Ear Inn, Birdland, Little Branch, and other places. But after his work on the First Traditional Jazz Workshop at Chautauqua, New York and the party — Jazz at Chautauqua — that follows, he will be putting his horn together the following Monday night to join the Grove Street Stompers at Arthur’s Tavern at 57 Grove Street (that’s Greenwich Village, New York) for a 7-10 PM musicale. Dan will be joined by pianist Bill Dunham for the first set, Ehud Asherie for the two following sets; Giampaolo Biagi, drums; Jack Stuckey, clarinet; Barry Bryson, trumpet; Kelly Friesen, string bass. I am sure that others will drop by . . . get there early, as Arthur’s has been known to fill up with the faithful!